Find it on Amazon or wherever books are sold. Emergency services personnel are truly valuable assets to every community and city. They enter into the worst situations, establish control, provide aid and right the wrongs. The work of public safety is challenging and at times overwhelming. Being a first responder can take a significant toll on those who serve. 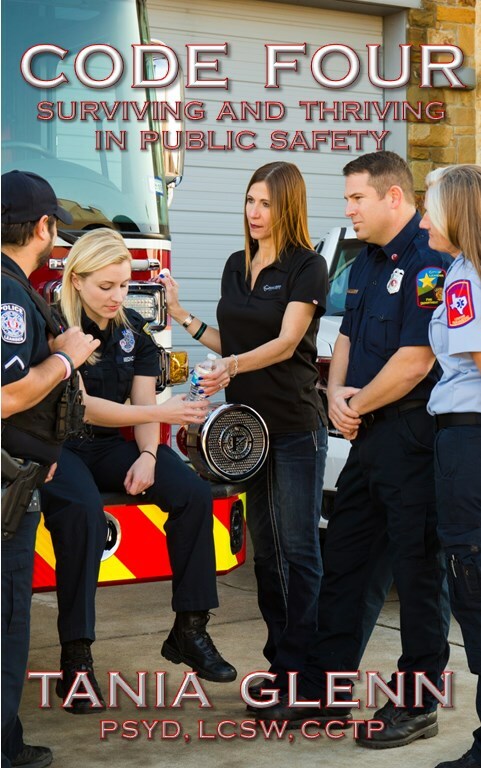 Code Four: Surviving and Thriving in Public Safety is a survival guide for first responders. 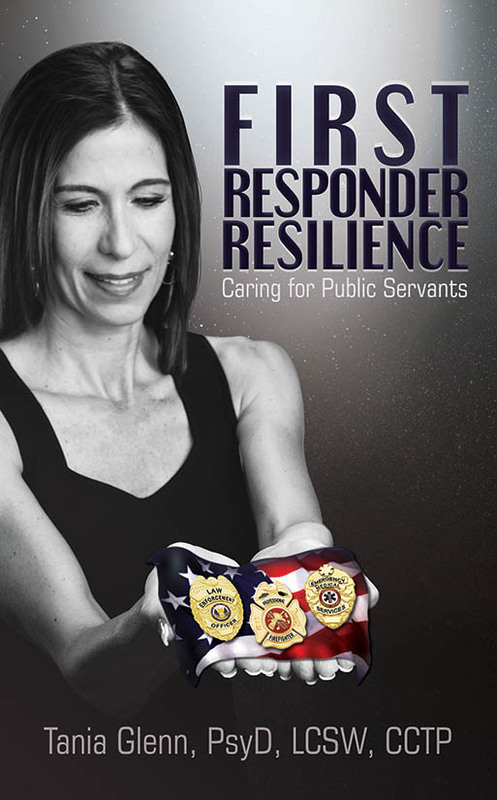 Designed to normalize what first responders face and to offer solutions, this book is written to teach public servants how to care for themselves and how to implement the necessary cultural changes to improve mental health in emergency services. The tradition in emergency services has been to largely ignore mental health. This has never, nor will it ever, work. Recently there has been increased awareness of burnout, Post Traumatic Stress Disorder and first responder suicide. Unfortunately awareness is not enough. 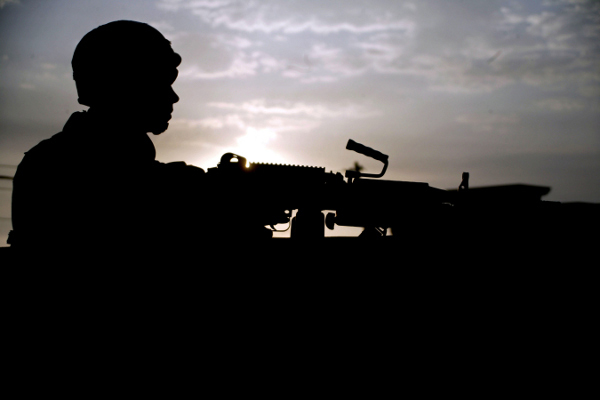 Dramatic videos sharing war stories do not offer solutions for these problems. This book is designed to guide the audience towards solutions. Many people have asked me to write this book over the years. It seemed too daunting to me for a long time. After deploying to an active airport shooter situation along with a peer support team that I train and guide clinically, the Director of a large law enforcement organization learned of what we did and deemed our response as “best practice.” This is the equivalent of a golden egg or Nobel Prize in my world. This alone spurred me to write the book! Strained relationships between law enforcement, the media and the public have marked the past several years. This has created significant stress not just for law enforcement, but for their family members. Protected But Scared is written for children of police officers to help them express their feelings and to help police parents and police departments understand how to help their beautiful children. But the touching story can be enjoyed by all children, and used as a teaching aid for teachers, parents, grandparents, camp and club leaders, or anyone that cares about children dealing with stressful situations. Meet Christopher, like any other boy he loves sports, his family, and friends. But most of all he loves his dad, his hero, a police officer. His dad has saved many lives, and Christopher can’t wait to grow up and be just like him! Lately the TV reports show terrible things happening to the police, people are angry, and Christopher doesn’t understand why or what has changed. Fearful and sad, Christopher watches his dad puts on his uniform and head out the door to protect him and others each day. What changed? Will the fear ever go away? Protected But Scared, how kids of first responders often feel! What happens when a young man or woman goes to war and sees death, killing, and tragedy and experiences fear on a daily basis? Do they return home the same? Of course not. Can the changes be reversed, altered or the effects reduced? We hope so. Are we doing enough as a Country and people to help our returning troops heal in body, mind and spirit? The answer is not clear but emerging information would lead us to believe that more can and needs to be done. Much more. Between Iraq and A Hard Place explores these questions from the perspective of the troops who need this help. If we can understand what our sons and daughters of war feel and fear, we can better know how to help them. Lance Corporal Luke Smentkowski of the USMC had the forethought on the first day of the Iraq invasion to turn on a small hand held tape recorder. What he captured on tape is powerful and thought provoking. This recording was the impetus for Between Iraq and A Hard Place. Along with segments of this recording, the film contains personal video footage and still pictures of the Marines who are the subject of this documentary. 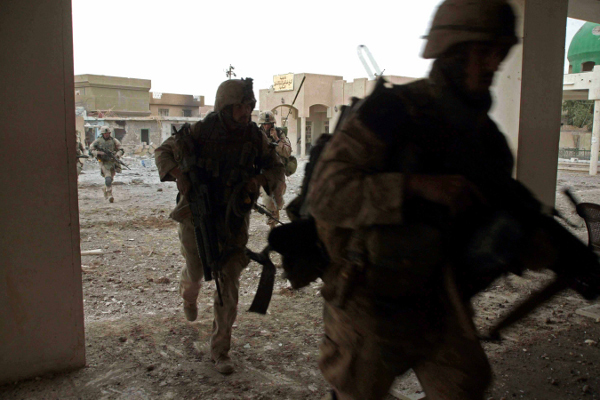 This unfiltered footage provides an up close and personal look at daily life in war. The viewer will feel as though they have been given a private look into the lives of these ordinary soldiers who have performed extraordinary acts of bravery in the name of God and Country. If you watch this film you will learn about true brotherhood, courage, commitment, kindness amid chaos and what honor means to a Marine of the United States of America. You will never look at a Marine the same after you see Between Iraq and A Hard Place. 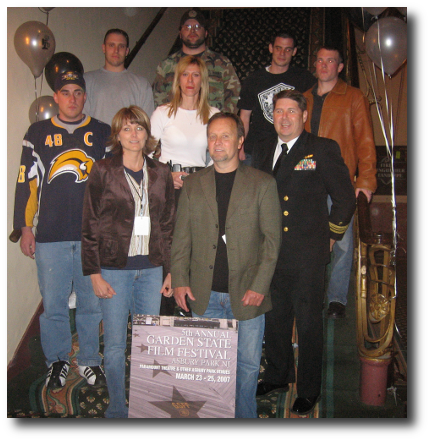 As a small business providing various programs and services locally and nationally, Tania Glenn and Associates, PA (TGA) recognizes many small businesses providing invaluable TGA support from behind the forward edge of battle. Please click on the name and/or business to email the respective person and/or business directly. (TGA posted their respective website, if applicable.) 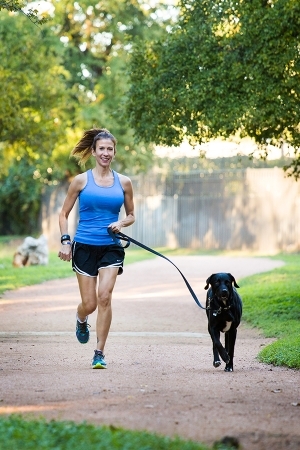 Kudos to each of these small businesses.